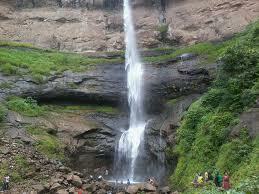 Mahabaleshwar is a among the popular holiday resort, honeymoon spot,weekend outing spot. 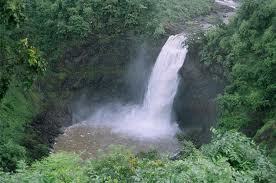 It is tucked away in the Satara district, they can be best approached from Pune as well as Mumbai. 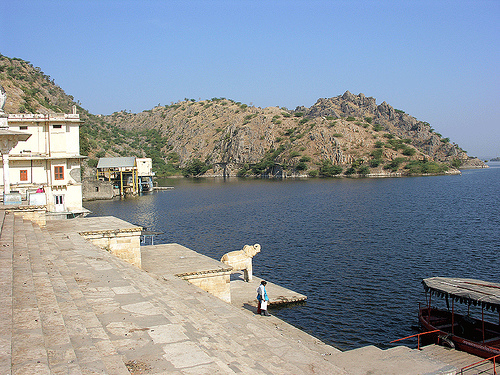 The commercialization has affected the hill resorts of north and south India. 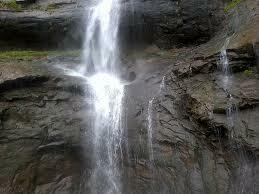 But Mahabaleshwar offer a clean, calm and thoroughly refreshing alternative. 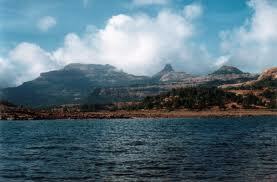 Mahabaleshwar is regarded as the queen of hill stations in Maharashtra. 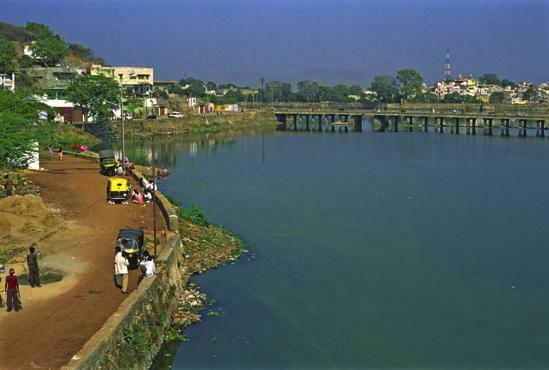 When you are travelling from Mumbai once you are on the top of Ambenali Ghat your lungs get filled with air which is fresh, cool and having scent of the herbs. You will suddenly feel the difference when you inhale the scented air. Tourist from the metro cities feel excited, when they drink the naturally cooled water even in the months of April and May. Mahabaleshwar perhaps is the only place in the country which offers various activities like boating, fishing, horse riding, trekking and playing golf on the gorgeous nine-hole golf course built on the edge of a cliff. The closest airport is Lohegaon Airport in Pune and is located at a distance of approx. 80 kms from Mahabaleshwar. 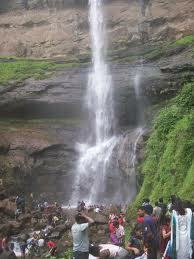 One can also get to Mahabaleshwar from Mumbai’s International Airport approx. 160 kms away. 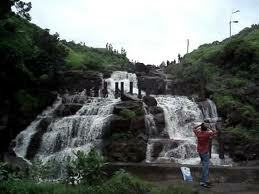 From the respective airports one can also hire a cab/taxi or avail the bus service to get to Mahabaleshwar. Mahabaleshwar is not directly connected by rail network. 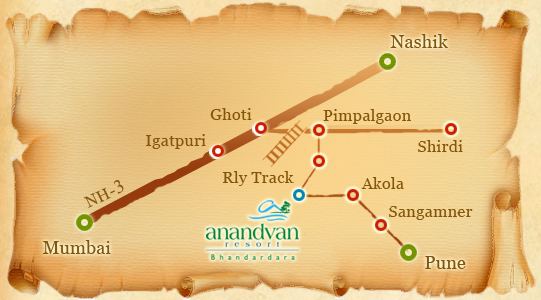 Nearest convenient railway station is Pune (120 kms) as it boasts of an efficient rail network. 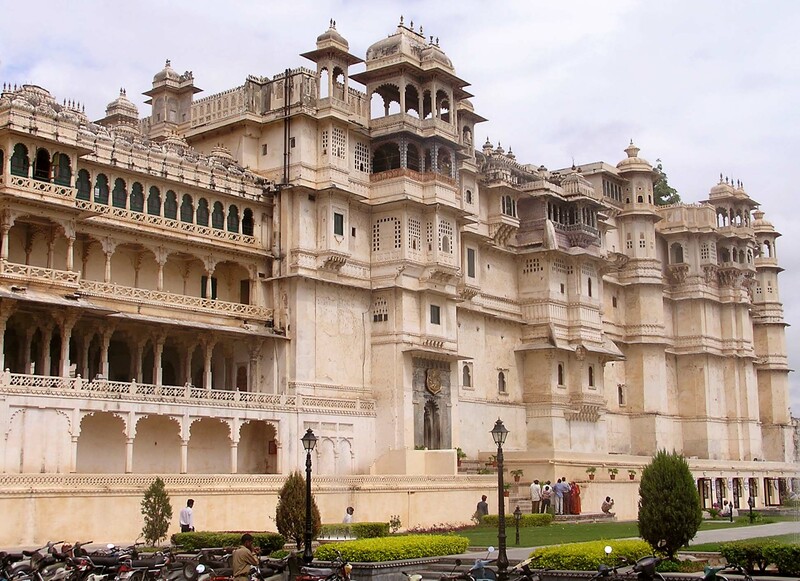 Get off at the railway station and there are private tour operators who provide buses, mini buses, taxis etc which are available easily to the visiting tourist. One can also take state government buses which regularly move between pune and mahabaleshwar. Maharashtra State Road Transport Corporation runs buses to the mahabaleshwar from Pune, Mumbai, Nasik, Satara, Panchgani and Kolhapur. The buses have a frequency of every 1-2 hours. 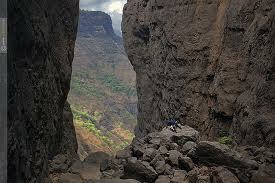 There are private tour operators like Neeta and Swami who runs buses to mahabaleshwar on daily basis. 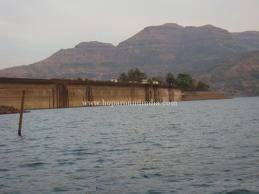 Click here for driving directions to Mahabaleshwar. 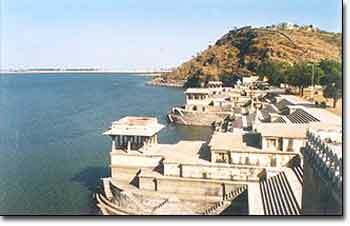 The Pratapgarh Fort is 900 m above sea level. 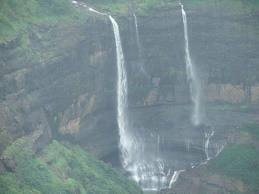 It is 24 km west of Mahabaleshwar. Thefort looks like a round topped hill. The wall of the lower fort forms a sort of a crown round the brow. There are accommodation options to suit all budgets and the options ranges from deluxe to budget hotels. Grade-A Mahabaleshwar hotels are available at rates of Rs 6000 – Rs 28000 depending on the type of rooms. 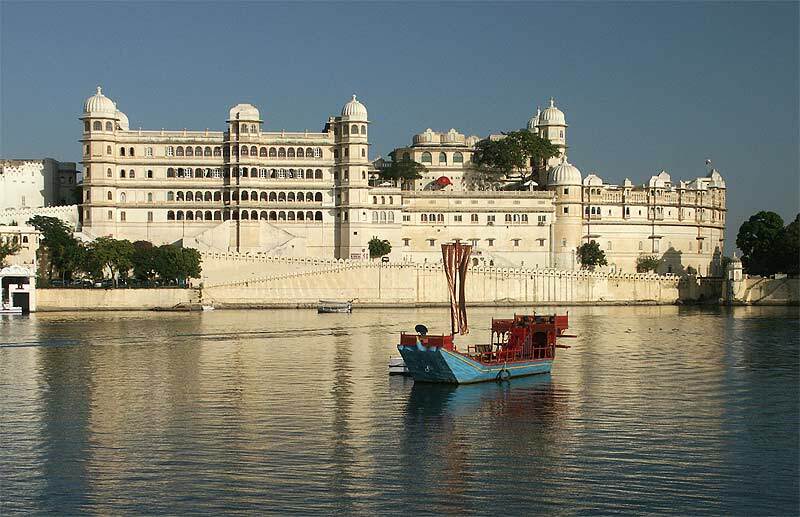 Budget Hotels are available at Rs 800 – Rs 2,200 per day depending on the season. The private bungalow for rent cost around Rs 5000 – Rs 12000 per day, during the off and on seasons. 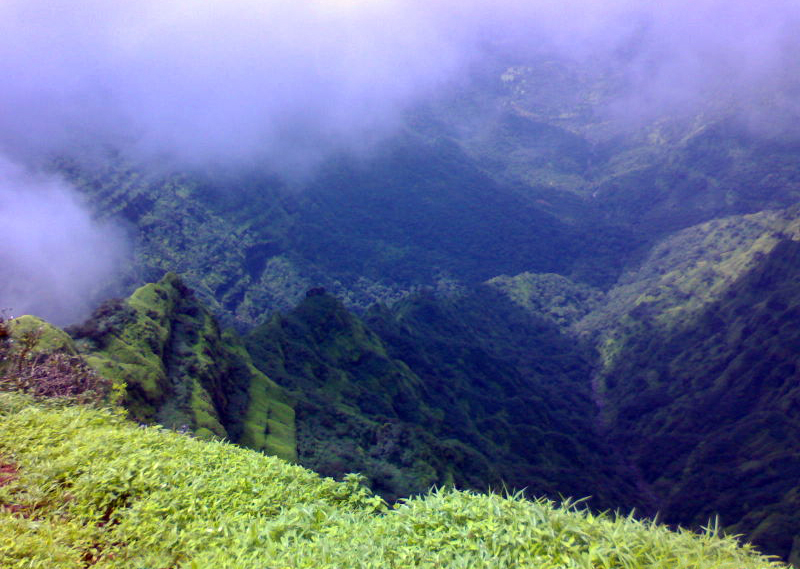 If you are looking to visit here between March – June the climate here is very pleasant and allows to explore the mahabaleshwar in true sense. There is a mad rush of traveler’s during this time to beat the heat of the summer. From July – September rains pour heavily out here. One can experience beautiful landscape and greenery all around. Honeymoon Couples choose this month as there is very few traveler’s rush out there.But some of the hotels out there are shutdown during this period. Visiting between November – March can be a good option. It is quite chill out there so you need to carry some extra clothes with you. This is a very good period to visit here. 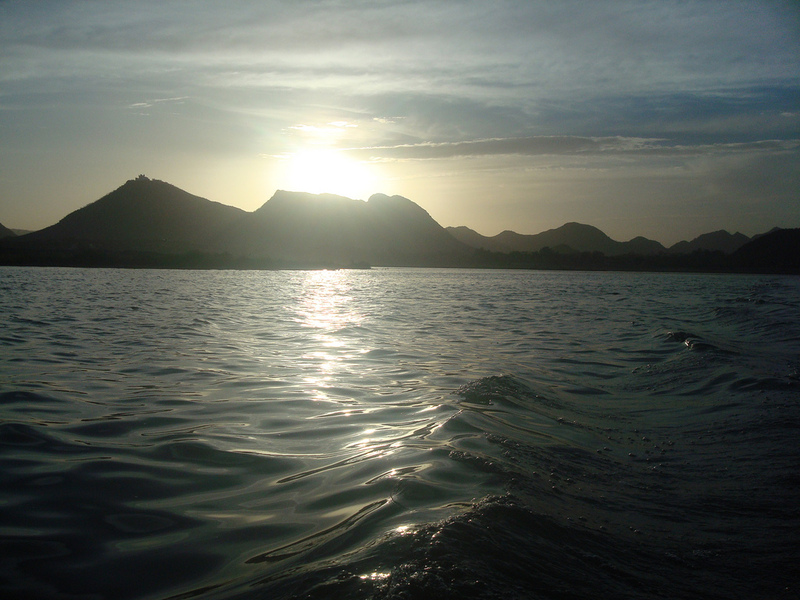 There are wide variety of adventure activities out there, some of which are listed below. 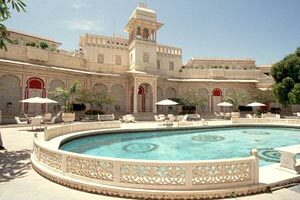 You can find many resorts and private adventure firms offering many fun / thrilling activities there. 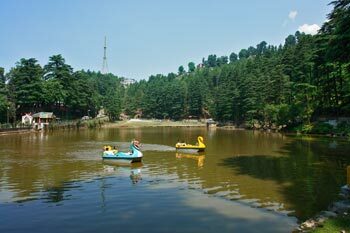 The hillside town of Dharamshala, stretches along a spur of the Dhauladhar mountain range amidst magnificent deodar, conifer and pine forests, tea gardens and mist-soaked hills. Since 1960, when it became the temporary headquarters of the Dalai Lama, it has been attracting seekers of spiritual enlightenment from all over the world. The nearest airport is at Gaggal (13 Km). 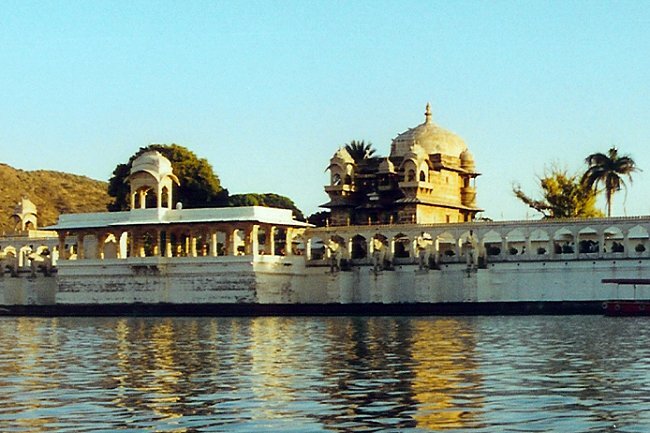 However, Amritsar is the convenient airport connected by various airlines with different cities in India. Pathankot is the nearest railhead, connected with major cities in India. A narrow gauge train runs from Pathankot to Kangra (94km). From here Dharamshala is 17 km by road. 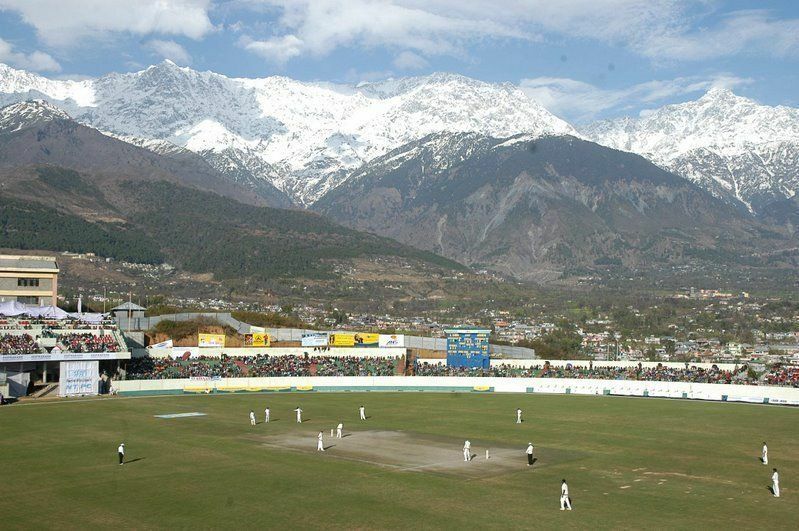 Dharamshala is connected by motorable roads with different places and ciites in India. 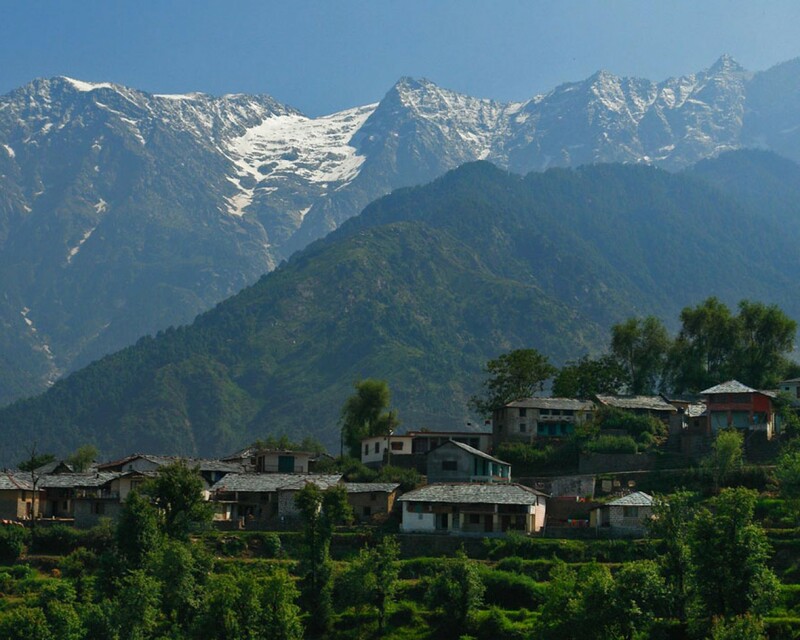 Located 02 km from Mcleodganj, the ancient shrine of Bhagsunag, dedicated to Lord Shiva, attracts visitors. A fresh water spring is the added attraction. One of the most frequented pilgrimage destinations in Dharamshala, The ashram complex set up by Swami Chinmayananda. Hindi, Punjabi, English and Pahari. 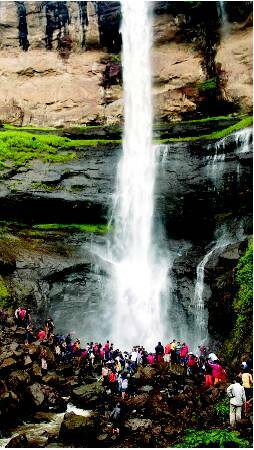 The Dabdaba Falls, one of the attractive falls in Jawahar, is placed perfectly to soothe the visitor’s body and mind with natural sceneries and fragrance. 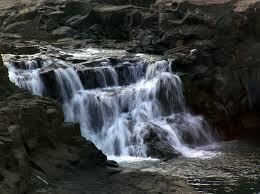 The whitish gushing water cascading from the rock faces makes this waterfall highly attractive. 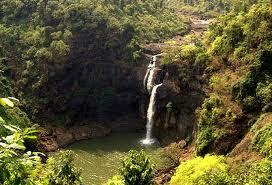 The surroundings are densely forested and provide a serene location for seclusion seeking travelers. 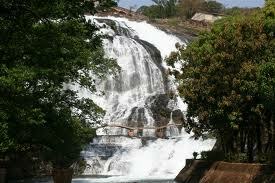 The area is unpolluted and unspoiled without much modern developments and luxuries. Dadar – 170 Kms, Borivli – 140 kms, Nashik – 90 km, Jawhar – 20 km, Vapi – 100 kms, Valsad – 130 kms, Surat – 220 kms. 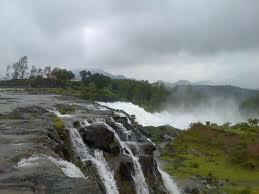 Dabhosa Waterfall Resort is visited as Ex-Mumbai / Ex-Nasik / Ex-Vapi / Valsad / Surat Weekend Getaway. Maharastra State Road Transport Corporation provides bus services between Jawahar and other cities in and around Mumbai. Mumbai to Jawahar regular bus services are also available.